We take pride in developing our students to take on the best in competition locally and around the world. 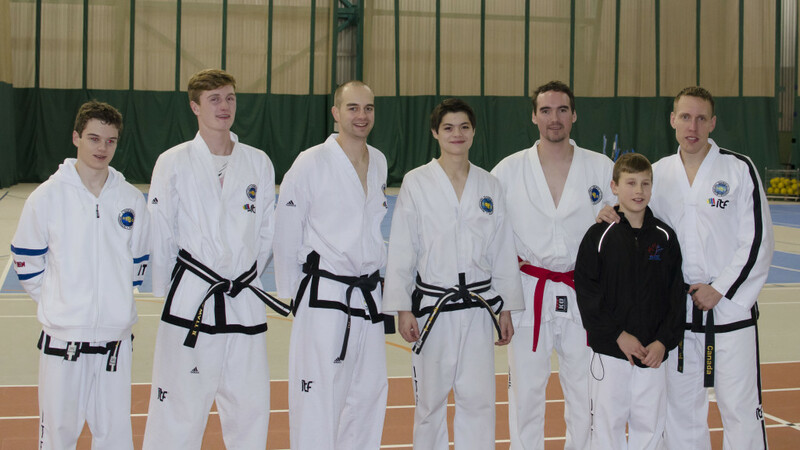 Every year, the International TaeKwon-Do Federation sanctions tournaments like the Canadian National Championship, Western Championship, Provincial Championship, and many regional tournaments. Our students train hard and learn to compete successfully at these levels every year. Cole, Jeff, Mr. Boudreau, Brent, Brandon, and Michelle. Cole: Gold – Specialty Breaking; Bronze – Patterns, Bronze – Men’s Team Sparring. Jeff: Silver – Patterns; Silver in Sparring; Bronze – Men’s Team Sparring. Mr. Boudreau: Gold – Sparring; Gold – Power Breaking; Bronze – Men’s Team Sparring. 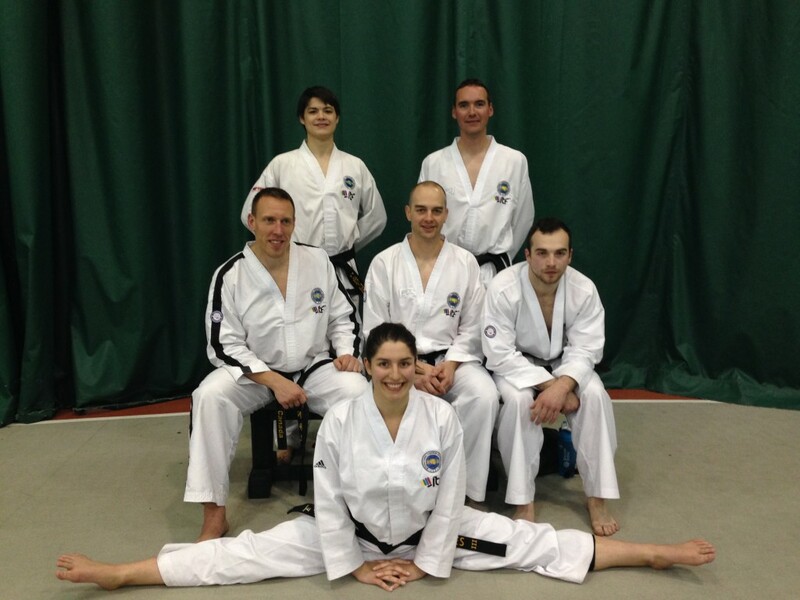 Brent: Silver – Patterns; Silver – Power Breaking; Bronze – Sparring; Bronze – Men’s Team Sparring. Brandon: Bronze – Patterns; Bronze – Sparring; Bronze – Men’s Team Sparring. Kyle, Daniel, Brent, Cole, Jeff, Dominic and Mr. Boudreau. Kyle: Bronze – Sparring; Silver – Junior Team Sparring. Daniel: Gold – Sparring; Silver – Junior Team Sparring. Brent: Bronze – Sparring; Silver – Mens Team Sparring. Cole: Gold – Sparring; Silver – Junior Team Sparring. Jeff: Gold – Patterns; Silver – Sparring. Mr. Boudreau: Gold – Sparring, Silver – Mens Team Sparring; Gold – Power Breaking. Mr. Boudreau, Daniel and Cole qualified to compete at the world championships in Italy in June of 2015. Mr. Boudreau and Daniel were both selected to join Team Canada at the event. 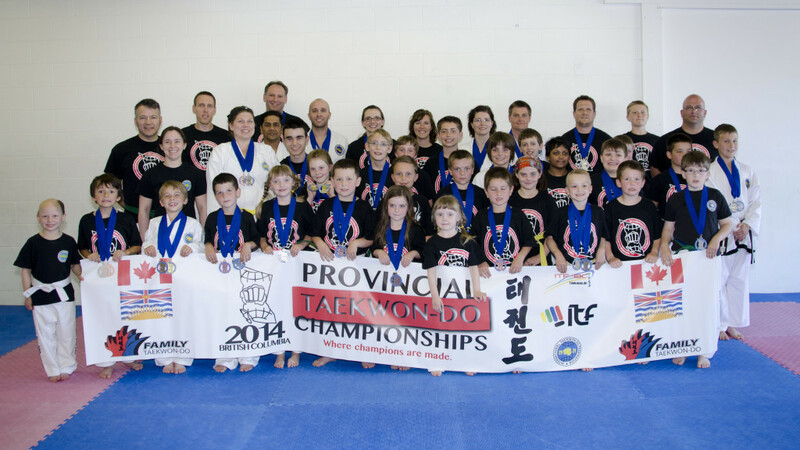 We had the opportunity to host the 2014 Provincial Championships here in Prince George. Our students were very motivated and went on to take numerous medals in their events. Kyle, Daniel, Mr. Boudreau, Dominic, Cole, Janet and Jeff. Kyle: Silver – Sparring; Gold – Junior Team Sparring. Daniel: Silver – Sparring; Bronze – Patterns; Gold – Junior Team Sparring. 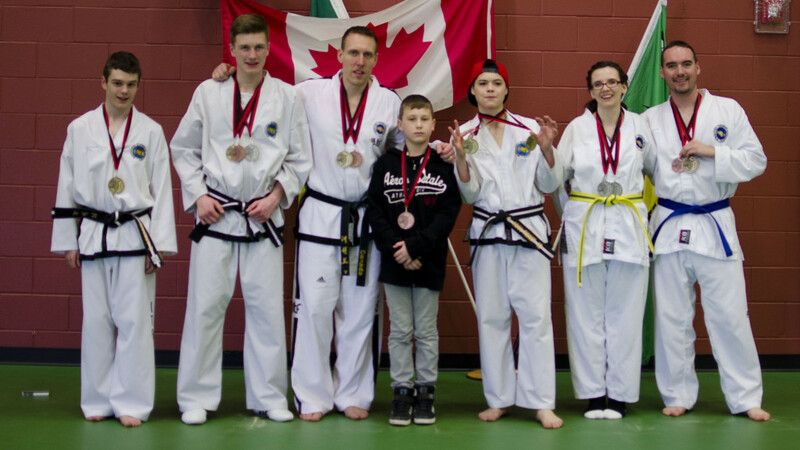 Mr. Boudreau: Gold – Sparring; Bronze – Patterns. Cole: Gold – Sparring; Gold – Junior Team Sparring. Janet: Silver – Patterns; Silver – Sparring.